memories | Sally says . . . eat, sleep, work, read, play, draw, bark . . .
‘I listened to them fade away till all I could hear was my memory of the sound.’ Ken Kesey. I was fifteen when my mum and dad decided that the family should move back to England to live. (When I say ‘back’, I mean that mum and dad were going back, my sisters and I were born in either Australia or New Zealand and had never been to England.) That was nearly 45 years ago (gulp—that’s a bit scary when you say it out loud) and the world was a different place then. England was all the way over on the other side of the world (well—it still is, technically) and, although many English people had relatives in Australia, if was so far flung that the average person didn’t really seem to know all that much about it. (These was the dark ages remember—no internet, no social media, no skype.) 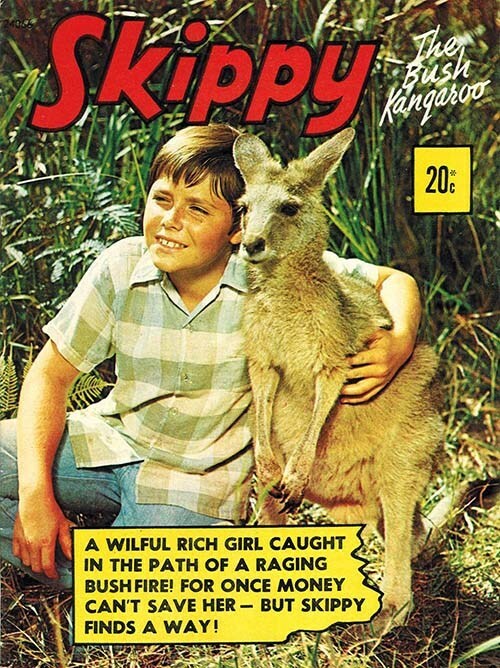 All they knew about Australia was from old movies or reruns of Skippy the Bush Kangaroo. As you might imagine, my sisters and I attracted a lot of attention . . . I never really got comfortable in England (or any other country I lived in really). 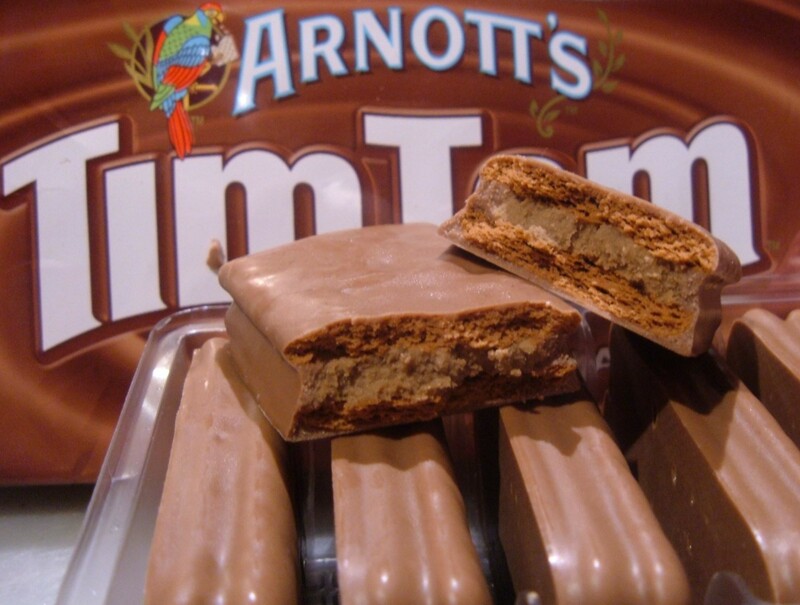 I missed Australia. I missed all sorts of things about it—the warmth (damn it gets cold in England), the people, the colours, the trees, the tim-tams—but when I really thought about it, I mean really thought about it, what I missed most were the sounds. The inevitable dawn chorus (the magpies, the cockatoos, the kookaburras—which, by the way, can often start their songs long before dawn! ), the sound of motorboats and jetskis on the water, the interminable drone of lawnmowers (not quite sure why I missed that, but I did)—and the cicadas . . .
OMG the cicadas!! Why on earth did I miss the cicadas?? Somewhere along the line my ‘memory of the sound’ must have muted their continuous ear-slitting roar to a gentle hum—it’s the only explanation! Well I am certainly not missing them now. All the planets must have recently aligned because we certainly have had a ‘bumper crop’ of them this year. Cicadas are the loudest insects in the world and there are more than 200 species in Australia. 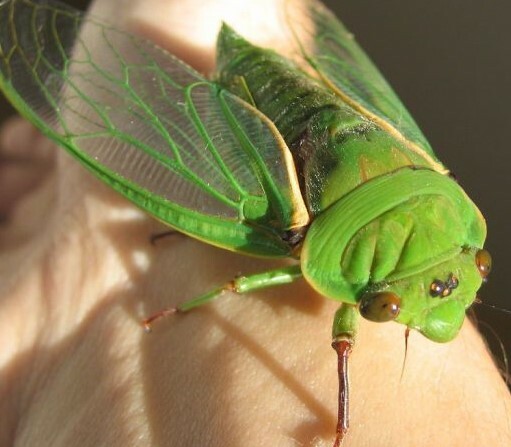 And (wouldn’t you know it) Australian cicadas (specifically the ‘green grocer’ and the ‘double drummer’) are amongst the loudest species on earth. (BTW, I had no idea cicadas has such cool names—Black Princes, Floury Bakers, Yellow Mondays . . . ) At close range these cicadas are noisier than any lawnmower chainsaw or jackhammer (in excess of 120 decibels, which is approaching the pain threshold of the human ear. Don’t I know it!) 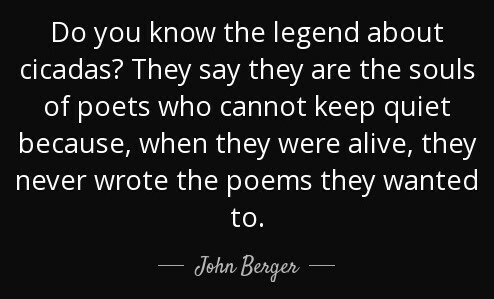 Apparently it is only the males who ‘sing’, which is probably just as well because if all the females were singing as well all of humankind would be deaf within days . . . But, you know, I’ve decided I’m not going to be too hard on them. Most of their lives are spent underground and for some species this can be for a period of up to several years. And then, once above ground, many of them only live five or six weeks. When I look at it that way, if I had dragged myself up out from under the cold dark earth into the bright sun and clear air, I’m pretty sure I would want to sing my little heart out too . . .
‘Old houses were scaffolding once and workmen whistling.’ T.E. Hulme. I have heard people say ‘Old houses have soul’ and I am sure they do. They also have squeaky doors, leaky plumbing, no built-in wardrobes and lots and lots of spiders. 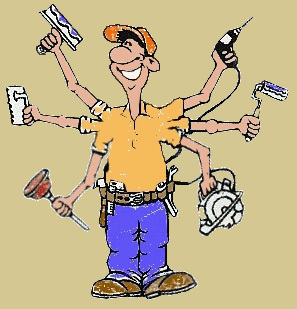 Having said that, I really do like old houses, although, if renting one, a landlord ready, willing, and able to do a spot of maintenance every now and again might also be in order . . . 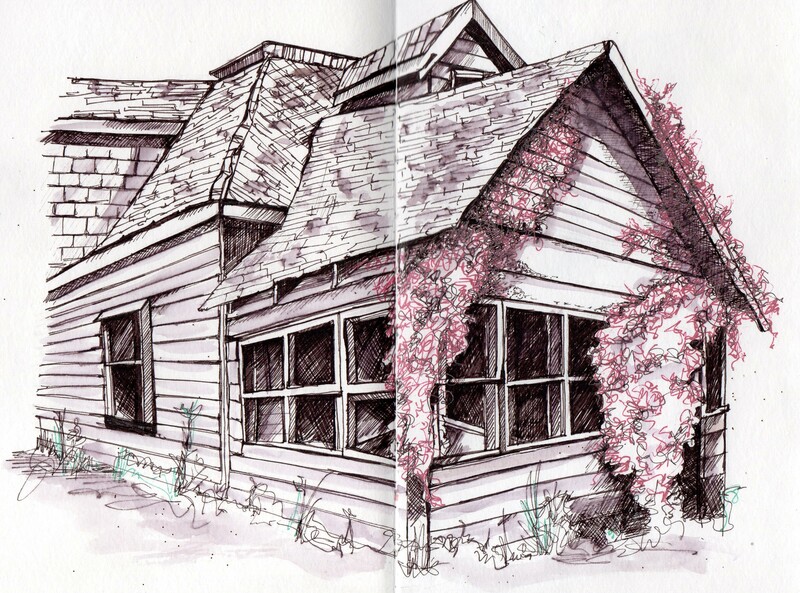 I know nothing of the history of the ramshackle house in my sketch below. I don’t know what country it was in, who lived in it, or why it had been abandoned. It was just a photo on the internet that I saw and liked and decided to copy (and I was desperate to try out a new pen). But, you know, drawing is a funny thing. It also sets you to thinking. While studying the angles and the shapes and the colours (and struggling with the perspective) I also found myself idly pondering on how old the house was, who built it (perhaps whistling whilst doing so), who slept behind that dormer window . . . and who planted that fabulous climbing ivy now growing with wild abandon both inside and out (and probably the only thing still holding the house up). I’ll never know of course, but I like to think that somebody out there in the world knows—someone who still has memories of the house and the lives that were lived here—someone with some stories to tell . . .